As a Jew who grew up pretty Jewy (a Bar Mitzvah, Passover seders, an original last name of Rothenberg (changed by my grandparents)), I never got very excited about matzoh. Sure, come April, the inevitable boxes would show up at the store and my mom would by some and we’d spread it with butter (a memory I hadn’t remembered until I wrote this sentence, but now that I remember it, it is a nice taste memory). 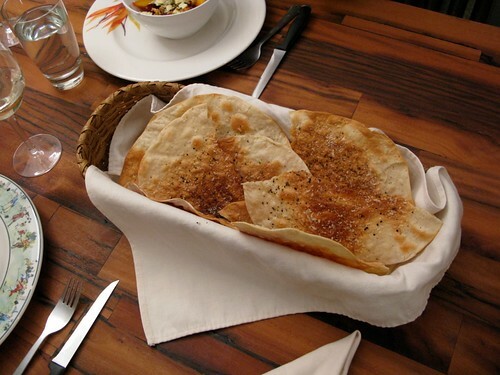 For those who’ve never experienced matzoh, imagine if cardboard and bread had a baby–that’s matzoh. It’s stiff, it’s crackery, it’s often pretty flavorless. Who gets excited about matzoh? Apparently: Ruth Reichl and Calvin Trillin. How can I follow a description like that? I helped him pull up the Tweet and now Blue Ribbon bakers can pat themselves on the back for transforming matzoh from a glorified cracker into something truly special. If you’re in the West Village and dubious of gourmet matzoh, take a stroll down Bedford Street and let this matzoh put a smile on your punim. You’ll be saying shalom to all other matzoh in no time.